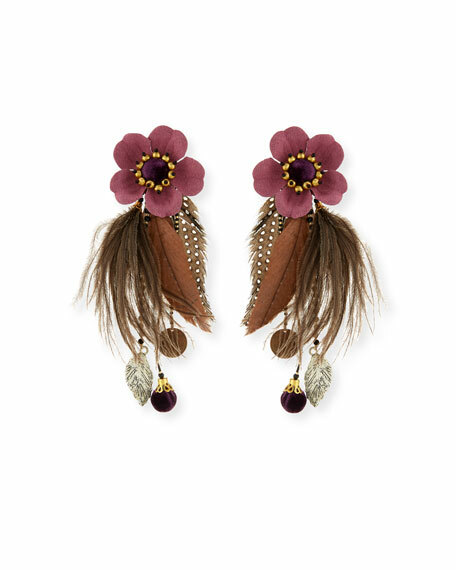 Laelia feather earrings by Ranjana Khan. Brass plated clip-on backs and hardware. Fabric flower posts with leather backing. Mixed guinea, ostrich and rooster feathers. Coin drops and velvet covered pompoms. Glass beading details posts and dangles. For in-store inquiries, use sku #2661130.